If you want to start an online retail business, you need tools to keep your business organized, and there are several type of software and applications designed to help. While the exact solution you select may vary based on your needs and the scale of your business, check out this overview of what you need. Unless you’re a programming whiz who wants to build your own website from scratch, you need to turn to an e-commerce solution. E-commerce platforms provide you with everything you need to set up your website. They feature customizable templates and integrated shopping carts. In many cases, e-commerce platforms also include extras, such as help with search engine optimization, inventory management tools and analytics to assess performance. If you build your own website or use a program that doesn’t have an integrated shopping cart, you need to sign up for a merchant account with a company that can help you process online payments. Alternatively, if you decide to use the payment processing solutions that come packaged with your e-commerce platform, you may want to look for a solution that also offers point-of-sale software. For example, SparkPay is e-commerce software that also offers POS software and mobile card readers, which ensures your online sales are synced with sales at your brick-and-mortar location. It also syncs with QuickBooks Online to streamline your accounting. Once you are set up to sell online, you need tools that can help you track your inventory levels. Inventory management apps such as SOS Inventory and DEAR Inventory allow you to enter inventory and track its cost, so you can access the profitability of your products. Alternatively, you may prefer inventory software such as Ventipix Asset & Inventory Tracker that allows you to scan inventory into the system using a smartphone. These inventory management programs can issue shipping orders to streamline order fulfillment activities. When your business gets big enough that you need help, you may want to look at online payroll solutions. Apps and programs such as Time Tracker allow your employees to sign in or out and upload expenses. These apps also help you determine how much to pay each employee, how much to withhold for income tax and related calculations. As a retailer, you have to track all of the money that is coming through the door as well as the money you spend to make that money, and quality accounting software can help. With QuickBooks software, you can track income and expenses, depreciate assets, create invoices and much more. 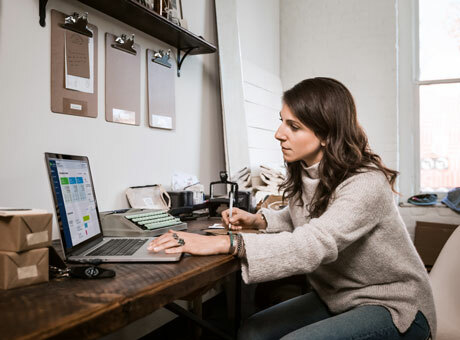 Best of all, QuickBooks Online syncs with all of the ecommerce, POS, and inventory management tools listed here. When your tools are synced, you can reduce the time you spend on manual entry and eliminate mistakes related to that process. Unfortunately, except for Time Tracker, the tools covered in this article don’t sync with QuickBooks Desktop, but if you prefer to use the desktop version of QuickBooks, you may be able to find substitutes that can work. 1 Pros and Cons: Is Online Merchandising Right for You?